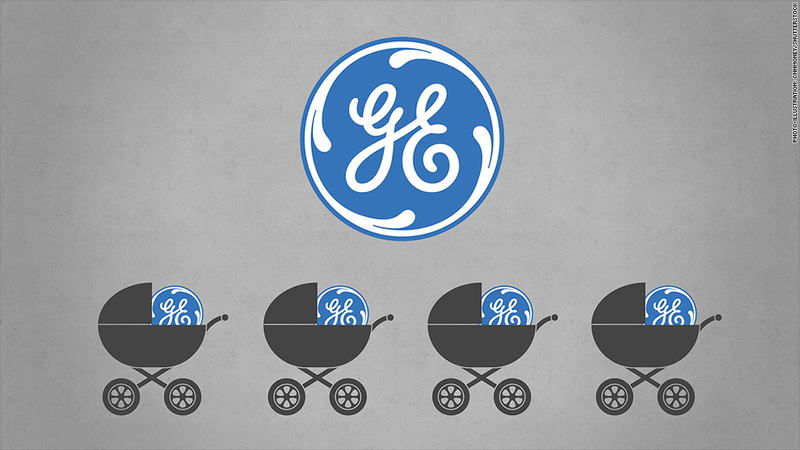 Should General Electric break up into a bunch of Baby GEs? One Wall Street analyst thinks so. In a harshly worded research note last week, Barclays analyst Scott Davis wrote that "GE and CEO Jeff Immelt have failed to capture the attention of investors," adding that many big mutual funds appear to have "thrown in the towel" on the stock. 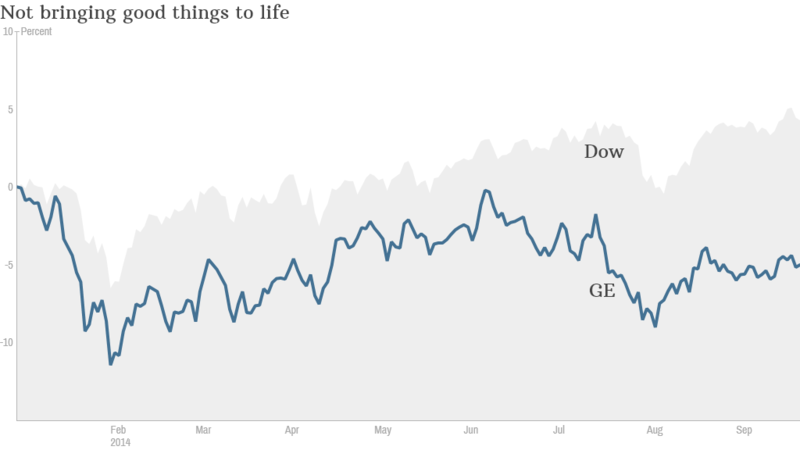 GE (GE) is the worst performing stock in the Dow Jones Industrial Average this year, down 7%. It has lagged the Dow and S&P 500 over the past 12 months as well. Of course, the Ma Bell restructuring was done because the government ruled that AT&T was a monopoly. If GE were to break up (even though it's hard to do if you believe Neil Sedaka) it would be because investors demand it. AT&T broke up into Baby Bells in the early 1980s. 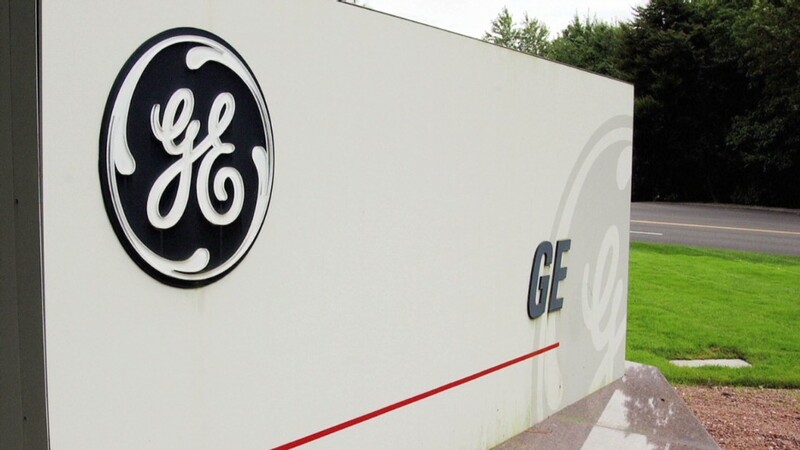 Could General Electric give birth to Baby GEs? What could a slimmed down GE look like? Davis said that spinning off GE's medical devices business should be on the table, too. Basically, anything that's not part of GE's global infrastructure related divisions (think energy, aviation and transportation) could be fair game to go. That even includes the company's small, but iconic, lighting business. I'm not sure GE would ever part with that though, unless it wanted to abandon the brand name entirely. Davis argues that a pure play GE healthcare company could probably trade at a higher valuation on a standalone basis. It could be valued more like Johnson & Johnson (JNJ), Stryker (SYK) or Medtronic (MDT). Will investors be on board with a breakup? Perhaps. Since GE is such a behemoth, it is unlikely to attract the attention of an activist/corporate raider like Carl Icahn, Bill Ackman or Dan Loeb. But buy-and-hold mutual funds have to be frustrated with GE"s underperformance. Davis said in his report that he informally surveyed many of the 30 largest mutual funds this summer about GE and that the response he got from portfolio managers was that the company was "uninvestable, unmanageable, too complicated, too diverse, too slow." Davis added that the company's earnings reports are so confusing that it takes him days to fully digest them -- and he gets paid to do so. If Davis is scratching his head, why should the rest of us have any confidence about the company's financials? GE declined to comment on the Barclays report. Still, you have to wonder if GE is just doing the best with the cards it has. To be fair, the company already has taken several steps -- besides the Synchrony spin-off -- to streamline. In 2004, GE spun off its life and mortgage insurance company Genworth Financial (GNW). In 2007, GE disappointed fans of "The Graduate" by getting out of the plastics business. It sold that division to Saudi Arabian firm Sabic for $11.6 billion. And in the biggest deal of all, GE last year completed the sale of its media division NBCUniversal to Comcast (CMCSA). That transaction valued NBCUniversal at nearly $40 billion. Immelt has also made two notable moves this year to further de-emphasize its older businesses and bulk up on the infrastructure side. GE announced the sale of its appliance unit to Electrolux (ELUXY) for $3.3 billion earlier this month. That comes on the heels of GE's plans to buy the power generation division of French conglomerate Alstom (ALSMY). GE outbid Siemens (SIEGY) in the process. So while it's true that Immelt has not been as big a hit with investors as his predecessor, the legendary Jack Welch, it's not accurate to say that GE has become more bloated under his watch either. And Davis, despite his critiques, is admittedly still a bull on GE's stock. He rates it "outperform" and says that it is worth buying due to its valuation, dividend and a "hope" that GE management will take further steps to simplify the company. Time will tell if these hopes become reality. But for now, it looks like any further breakup plans by GE are (to borrow GE's slogan) just "imagination at work" on the part of Davis.